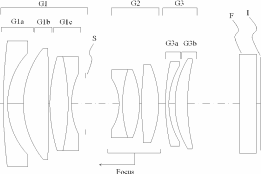 Sigma filed a new patent in Japan for a 25mm f/1.2 lens for Micro Four Thirds sensors. 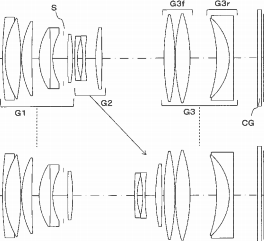 In the past Sigma has filed patents for a 25mm f/1.4 and 75mm f/1.8 MFT lenses. In 2011 the company announced that it will start producing MFT lenses and currently has three different models: 19/2.8, 30/2.8 and 60/2.8. Tamron filed a patent for several different full frame mirrorless macro lenses: 120mm f/2.8, 60mm f/2.8, 180mm f/2.8, 300mm f/2.8. This entry was posted in Sigma, Tamron and tagged Patents. Bookmark the permalink. Trackbacks are closed, but you can post a comment.